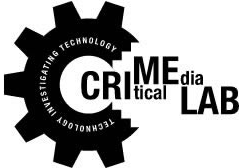 The Critical Media Lab (CML) is a cross-disciplinary, research-creation initiative developed in the English Department at the University of Waterloo. The CML fosters the creation of new media projects that explore the impact of technology on society and the human condition. It was launched quietly on campus in the fall of 2008, before occupying various locations in the city of Kitchener, Ontario. The CML is currently located at 44 Gaukel, a creative incubation site that houses tech startups and arts organizations.